UPDATED Local TV channel number three has gone live in the capital this evening when London Live commenced broadcasting at 6:30pm. It's website had a launch countdown clock ending at 6pm. Thanks to the number of households in its coverage area, London Live is the biggest local TV launch so far, following hot on the heels of last week's local TV launch in Norwich and last year's launch of local TV in Grimsby. Further local TV channels are preparing to launch in cities including Nottingham, Birmingham, Bristol, Cardiff, Glasgow, Edinburgh Leeds, Liverpool, Manchester and Newcastle during the next few months. Ofcom awarded the local TV licence for London to the television arm of the Evening Standard (ESTV) last February, when it beat 4 other applicants for the licence. Back then, Ofcom's Broadcast Licencing Committee stated that it was impressed at ESTV Ltd's proposed "opportunities for close local community involvement, in particular, its proposals for IPTV services in each London borough which would be included in its programming commitments." 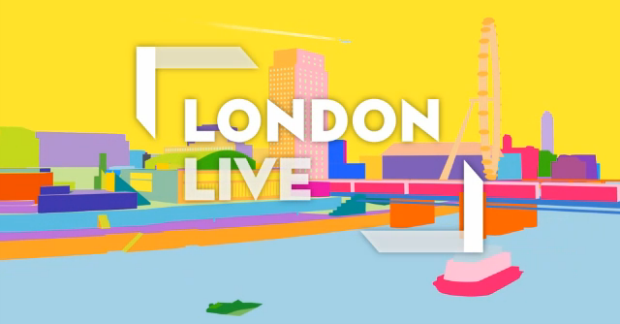 London Live will broadcast 24 hours a day 7 days a week, with a commitment to air a mix of news and current affairs programming alongside entertainment programming. Every evening, London Go will bring the latest arts and entertainment, giving Londoner the lowdown on what to do and where to go. Marc Edwards will present Wake Up London providing the capital with an alternative breakfast show. Not the One Show will go head-to-head with the BBC One show, where comedians, journalists, DJs and bloggers will dissect the day's news. 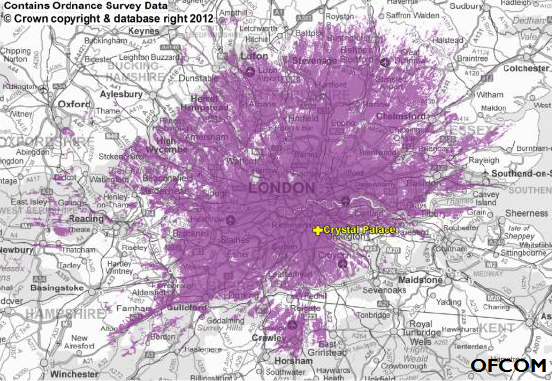 London Live's service area on Freeview. In Greater London, multiplex operator Comux is broadcasting the channel from the Crystal Palace transmitter (UHF channel 29), so that viewers can watch on Freeview or YouView channel 8. It will have limited coverage outside of London, so not all viewers receiving national Freeview channels from Crystal Palace in the Home Counties and beyond will be able to watch the channel. Licence awards for separate Local TV stations covering Basingstoke, Guildford, Luton and Maidstone are planned. Within the M25, viewers will be able to watch London Live on Virgin channel 159 and via Sky on channel 117, regardless of their subscription type. It will not be available on Freesat. Viewers across the whole of the UK will be able to watch at londonlive.co.uk and via mobile and tablet apps. The channel will not be available abroad via the internet.